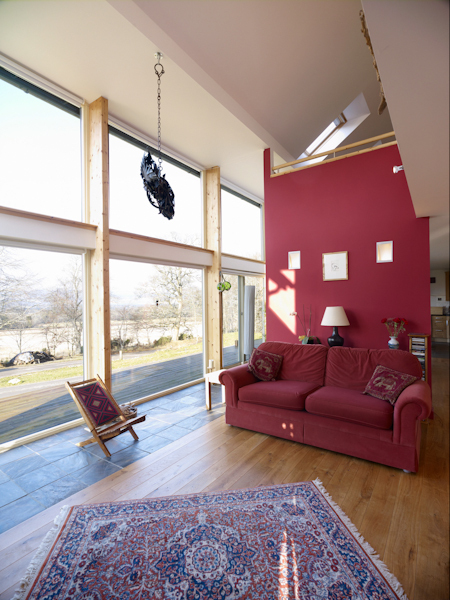 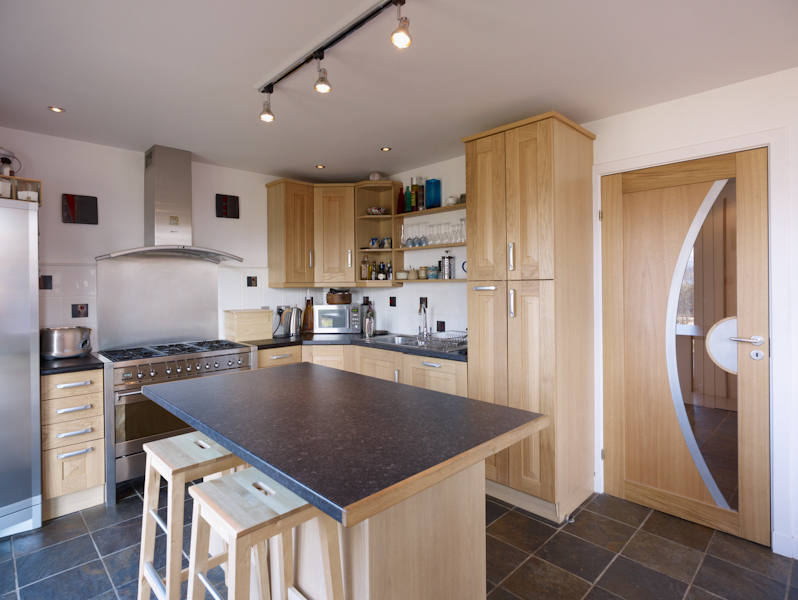 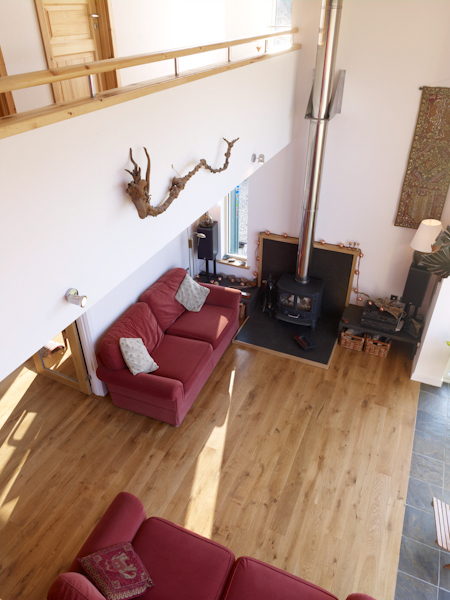 In this house at Belladrum large areas of glazing form one side of the living area. 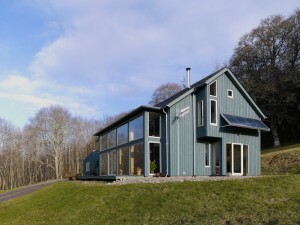 This makes for a strong connection with the surrounding garden and opens views to the Strathfarrar hills in the distance. 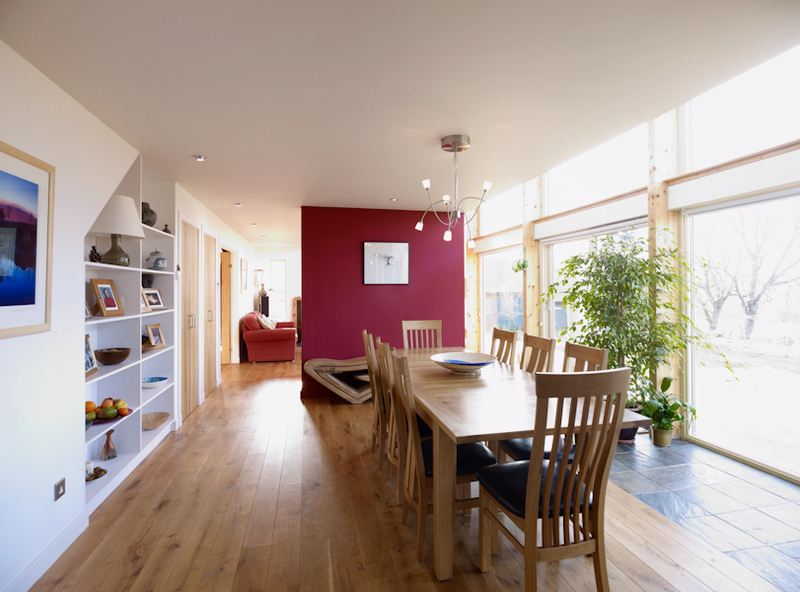 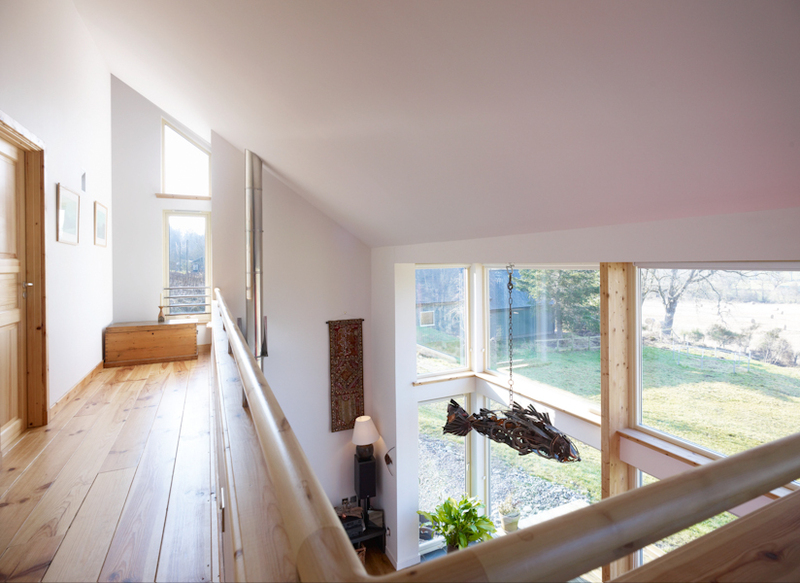 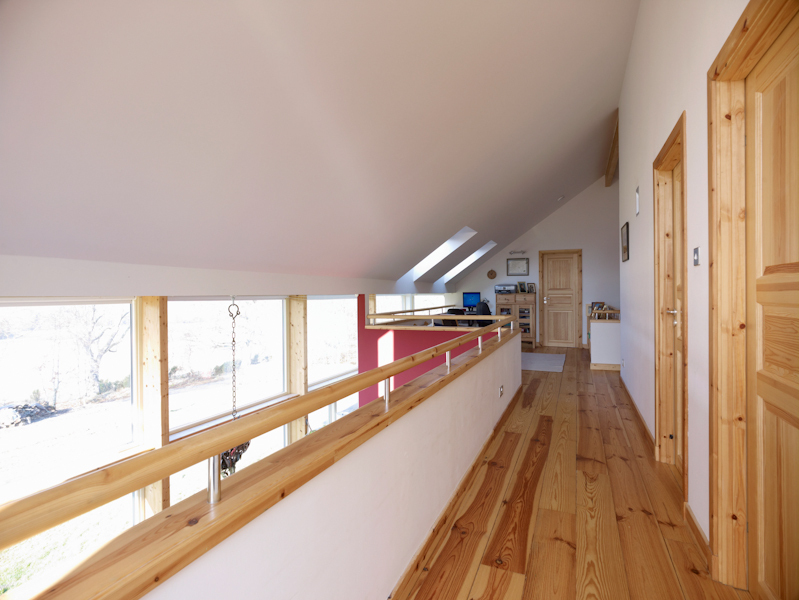 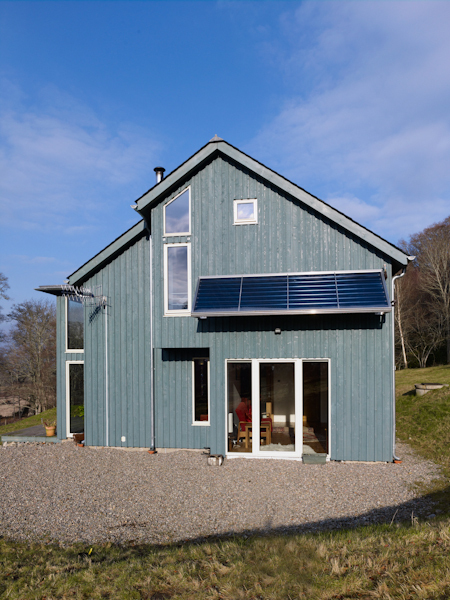 Striking a balance between introducing light and sun into the house and maintaining an economic and low carbon approach to heating can be a delicate matter which requires to be discussed fully with the client.